Question: What exactly is wrong with calling an ultrasound image of the womb "cool?" Answer: Nothing. That is, except when the media misquotes you and labels you as the new torchbearer of the War on Women. Gov. Scott Walker (R-WI) was the latest victim of this tired and unfair characterization when defending his state's mandatory ultrasound law. The law, which requires women to have the imaging before going through with an abortion, has been a source of controversy ever since it was passed, with pro-abortion groups calling it an unfair burden on women who want no interruptions on their way to terminating their pregnancies. Walker sat down with TheBlazeTV's Dana Loesch Wednesday to discuss the benefits of the legislation. Most importantly, that it has the potential to save countless unborn lives. At one point, he provided his own personal opinion on the incredible machine. Politico has since deleted the quote from its headline (you can still their initial intention in the URL), but not before several other liberal-leaning outlets published similar titles. 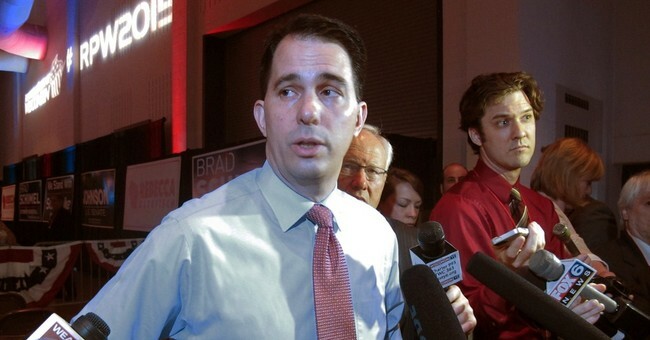 RedState has a roundup of several websites that ran with Politico's initial error and jumped on the chance to excoriate Walker as hostile to women's anatomical rights. Planned Parenthood wasn't far behind. Ultrasounds are technological advances that allow mothers to view a window to the womb. I can't think of anything cooler.